We are still more than a year away from Star Wars Episode VIII hitting theaters, and we haven't even received an official title for the movie yet, but we may have just been handed one of the pivotal scenes in the movie. Fair warning, this article may contain truly massive spoilers for Star Wars Episode VIII, so read ahead at your own risk. With that out of the way, if this supposed leaked scene is legitimate, we are going to learn who Anakin Skywalker's father is, and it is absolutely nuts. The alleged script leak that this information is drawn from comes courtesy of the Star Wars Theory YouTube channel, though they declined to mention where they obtained the bit of the script. In the video, the entire scene is read, and it does sound a lot more like a bit from one of the novels than it does an actual movie script. It very well could be part of an upcoming novel as opposed to a movie script, most likely the novelisation of Star Wars Episode VIII, were that the case. As for what it contains, it has Luke coming face-to-face with Snoke in a pivotal scene, and Snoke reveals to him who his grandfather is. After Snoke heavily implies that he saw Luke's father at one point and Luke asks him directly about it, this is what Snoke has to say. "Of course. After all, what father doesn't see his own creation." So, even though he doesn't come right out and say it, Snoke is essentially saying that he is Luke's grandfather. That would mean a great, many things. 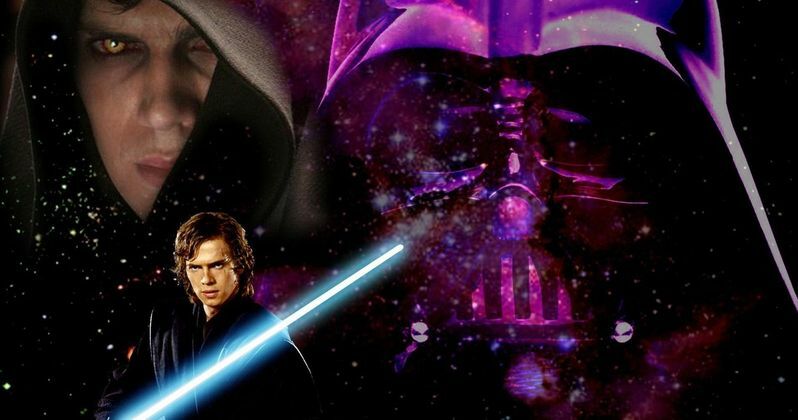 For one, it would directly correlate to the big Darth Vader being Luke's father reveal in The Empire Strikes Back, which was the second movie in the original trilogy. In this, Snoke would be revealing that he is Luke's grandfather, the second of the new trilogy. Being that The Force Awakens shared a lot of similarities to A New Hope, that would make sense. The scene also reveals that Rey is once again captured and is used as bait to bring Luke to Snoke. So, Rey is also not good at not getting captured. The mystery of Darth Vader's father is one that has been lingering for quite some time. In The Phantom Menace, Anakin's mom Shmi revealed that there was no biological father and that it was more of an immaculate conception sort of situation. Snoke is largely a mystery, and we don't know who he really is, though there are many theories floating around. We do know that he is ancient, and in this scene he reveals he has been around for a very long time, and could have been responsible for creating Anakin somehow, in a more non-traditional sense. It is a bit hard to tell if this is something that would come off as very obvious, or something that would come off as fairly mind-blowing, but it would at the very least fit into the theme of the Star Wars saga movies being one hell of a family drama. Daisy Ridley recently revealed that we likely won't be getting even the title for Episode VIII for quite some time, even though director Rian Johnson is already deep into post production, and a rough cut of the movie may already be done. However, when the title is revealed, it could lend some more credibility to this leaked scene. Say, for example, if the title were something like Star Wars: The Father's Father, or something like that. Jokes aside, Star Wars titles have never been all that revealing, perhaps only in hindsight. Star Wars: Episode VIII is set to hit theaters on December 15, 2017. You can check out the full video for yourself below.